There’s always an occasion, or at least an excuse, for enjoying some of your favorite candy. For starters, there’s birthday parties, all types of holidays, anniversaries, graduations, welcome home events, baby showers, bridal showers, wedding receptions and many more occasions where candy is an ideal accompaniment to the celebration. For the times when you need to mend fences after an argument, cheer up a friend who is feeling down or take a gift to a friend that’s in the hospital or recovering at home, candy may be the perfect peace offering, mood lifter or kind gesture that makes a lasting impression. 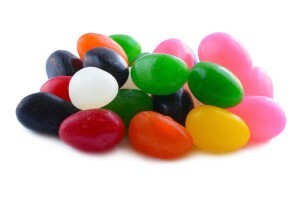 Nostalgic candy such as candy fruit slices, caramel creams and jelly beans are timeless. 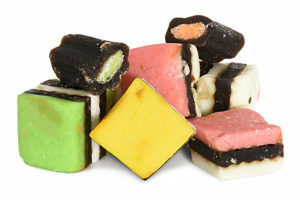 Older adults enjoy both the candy and the memories that nostalgic candies generate. 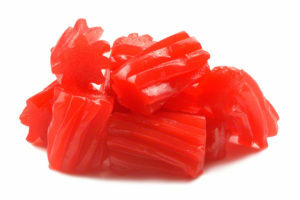 Kids and those of the younger generation enjoy retro candies in much the same way as their parents and grandparents did. They like trading flavors of jelly beans with siblings, parents or friends. They appreciate the fun that goes along with Juju fish. Just the name of the candy makes cow tales a fun treat for kids. Their delightful flavor and chewy, creamy smoothness makes them an irresistible indulgence for adults. Few kids, adults or seniors are able to resist the colorful, sugary, chewy orange, cherry and assorted fruit slices that have ranked high on the list of favorite candies for generations. Candy can be used as an edible decoration on a party table. You can get as creative as you want to with display containers and the candy assortment you choose for your party table. Small bags or boxes filled with colorful Juju fish or jelly beans or shimmering fruit slices make a great party favor that your guest are sure to enjoy. White Jordan almonds are a traditional treat given at Italian, Greek and Middle Eastern weddings. Today, their popularity crosses cultural lines as many brides choose to include them in their wedding celebration. There’s quite a bit of history to the tradition and the symbolism varies slightly as you explore the symbolism associated with Jordan almonds. These luscious, smooth coated almonds are typically packaged in bags or boxes in uneven numbers and given to members of the wedding party and guests. A poem is often included with the almonds. An uneven number is used because it is indivisible and therefore symbolizes that the couple will remain undivided. Another popular number of white Jordan almonds to distribute at a wedding is five. 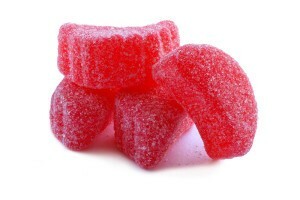 Those five pieces of candy symbolize health, wealth, happiness, fertility and longevity. Candy can be used as a decorative element in your home. That’s a good excuse for always having your favorite candy easily accessible. 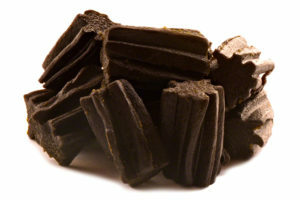 You’ll need to take advantage of bulk candy for sale if you plan to use it in your home décor. Colorful candy can be used to enliven a monochromatic decor or to add a pop of color to the typical black and white, sophisticated modern decor color scheme. The kitchen dining room and family room are great places to include a candy display. Glass containers in varying shapes and sizes help make the display visually interesting. Keeping a stash of candy in your desk drawer or work area assures that you’ll always have a quick pick-me-up on hand for those sluggish moments that sneak up on you. If you don’t mind the occasional “grazer” stopping by, you can keep a jar filled with colorful candy sitting on top of your desk. Individually wrapped candy such as caramel creams, chocolate caramel creams, strawberry caramel creams or cow tales can be displayed in a basket or decorative bowl on your desk or in a waiting area as a treat for clients. Treat yourself to some of our delightful nostalgic candies. Buy some for a friend, add it to gift baskets or use it any way that your creative mind desires. Consider this candy as a reminder of the importance of taking the time to enjoy the simple things in life.